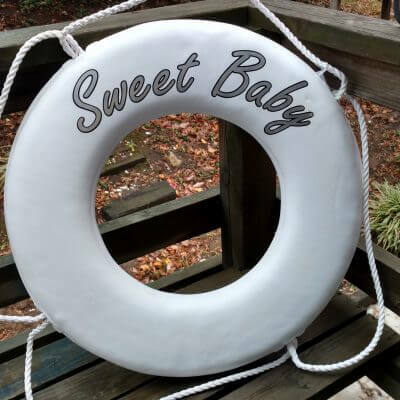 We create personalized life rings. 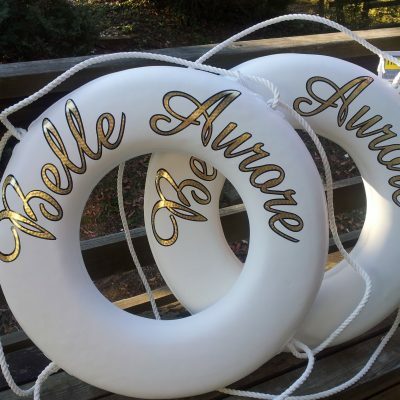 24 inch life rings can be lettered with 23 karat gold leaf film. 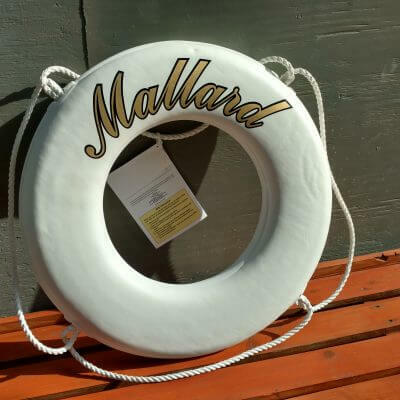 Gold leaf lettering looks great with a dark outline and/or shadow which creates contrast against the white background. 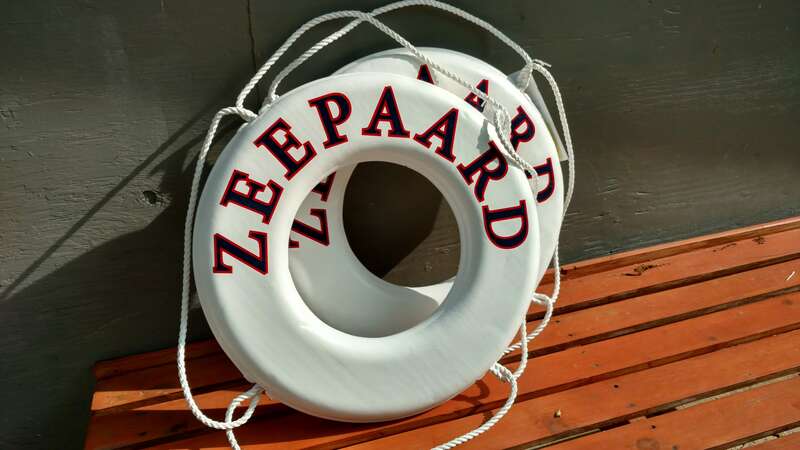 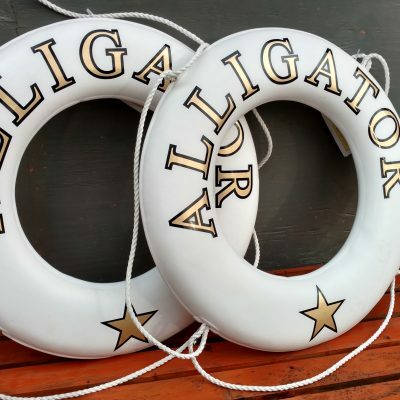 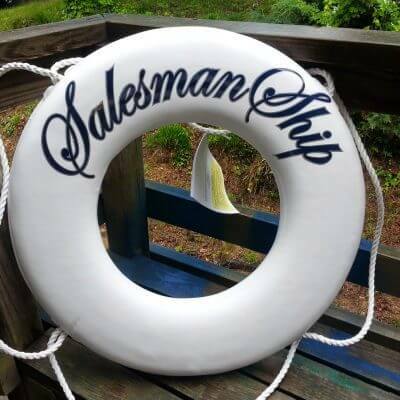 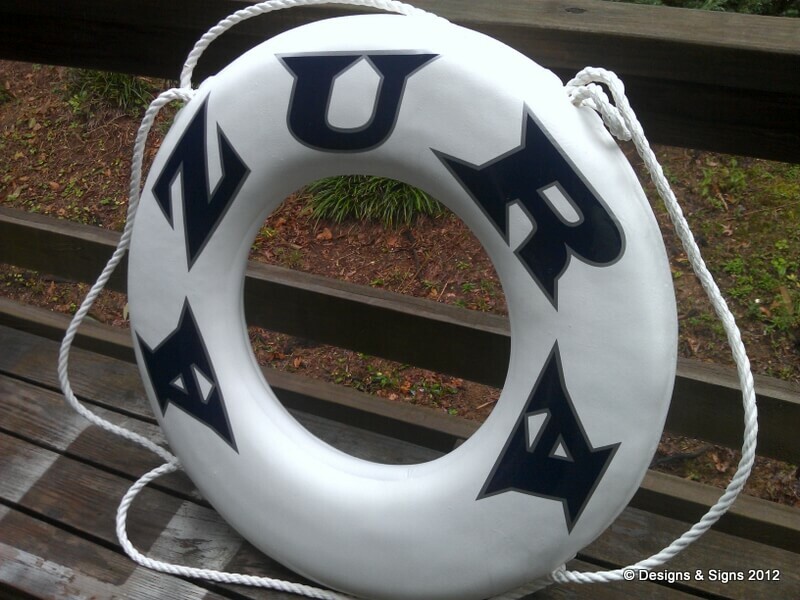 Get your personalized life preserver anywhere around the world! 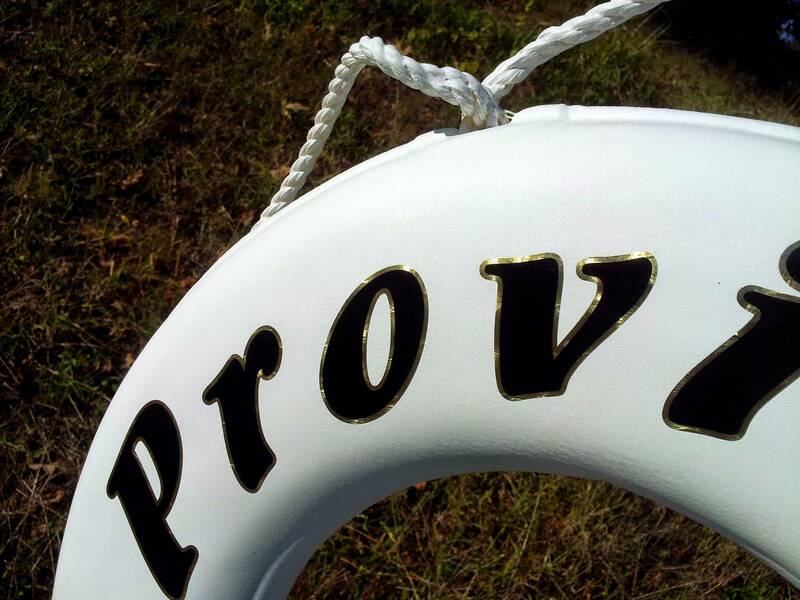 When the final drawing has been approved we order the materials and we letter your ring, usually within 3 days. 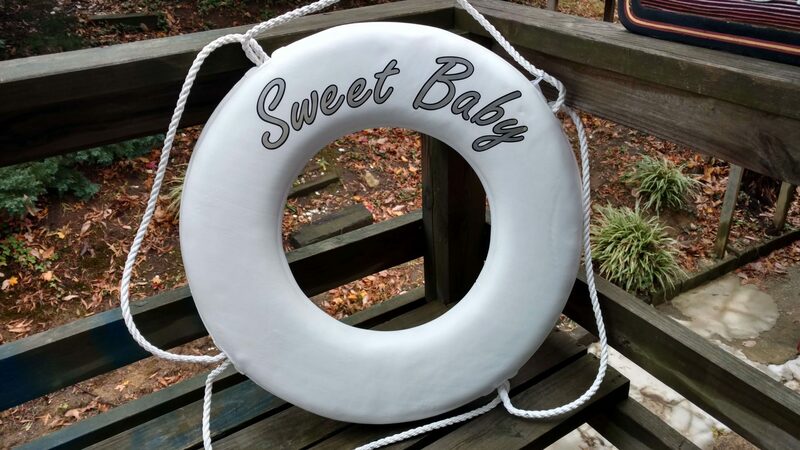 All of our life rings can be lettered with gold leaf or silver leaf in a variety of finished. 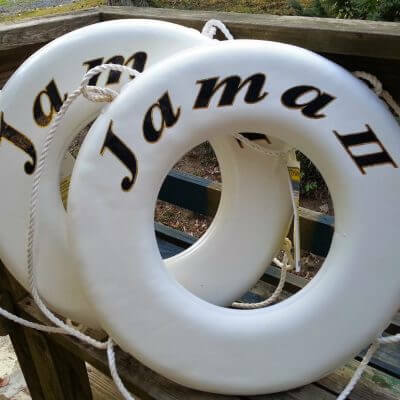 Typically we offer burnished, engine turn, and Florentine swirl. 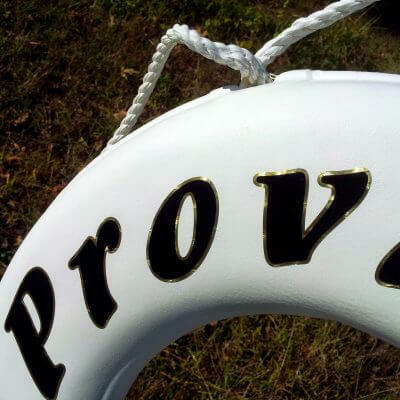 We always lettering our rings with a dark vinyl outline and/or shadow. 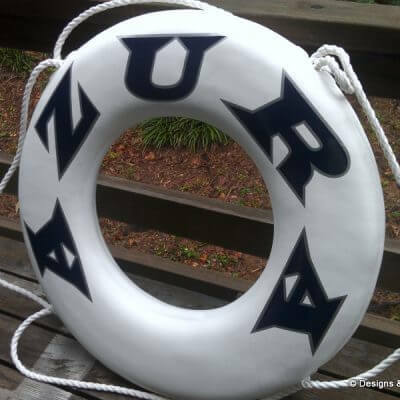 All of our life rings are coast guard approved! 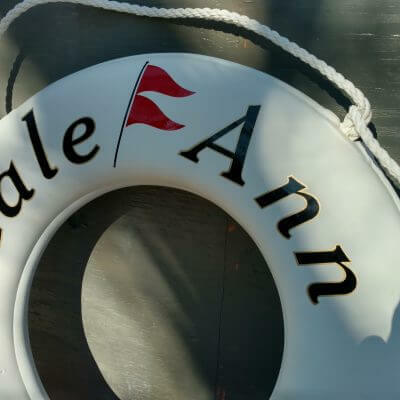 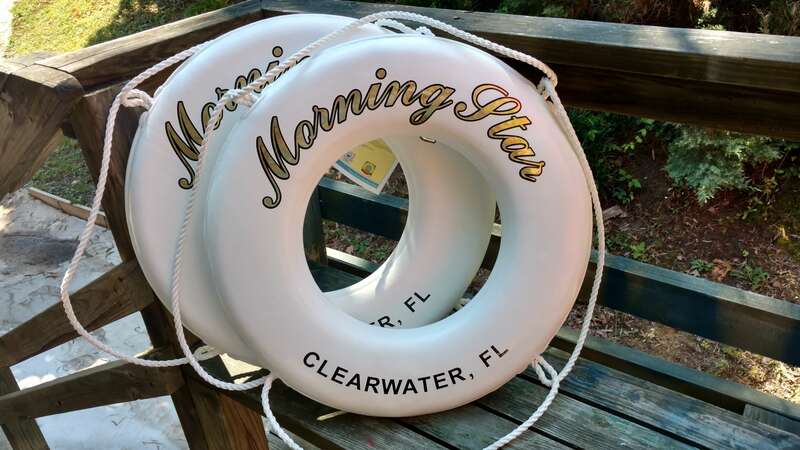 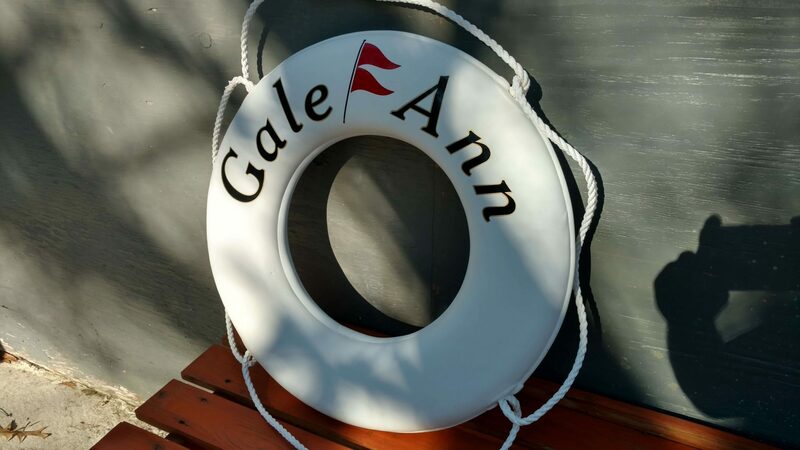 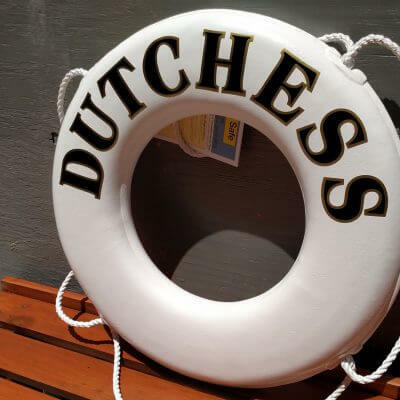 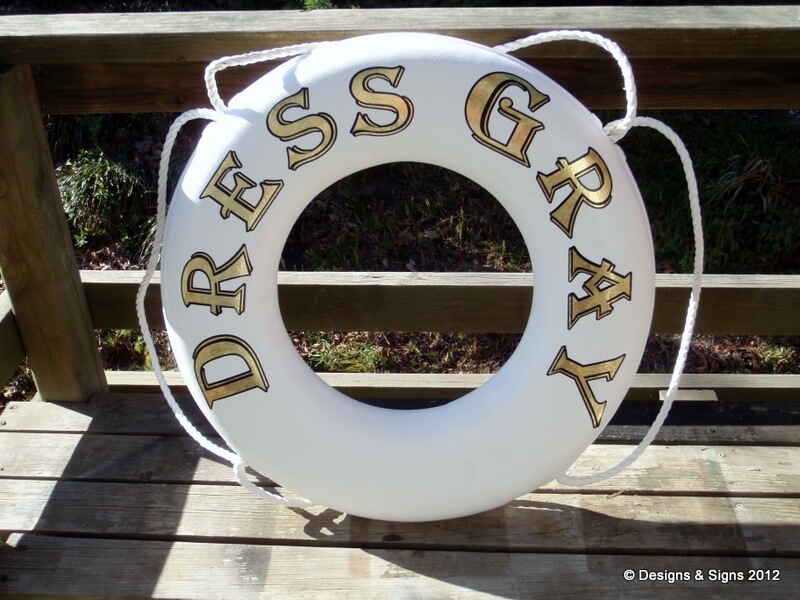 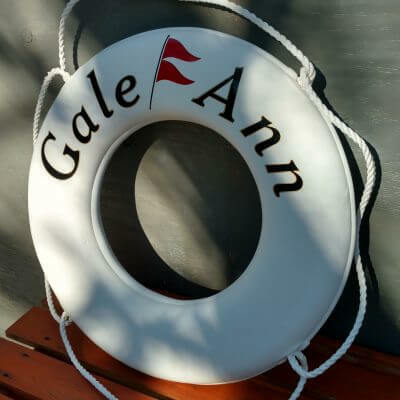 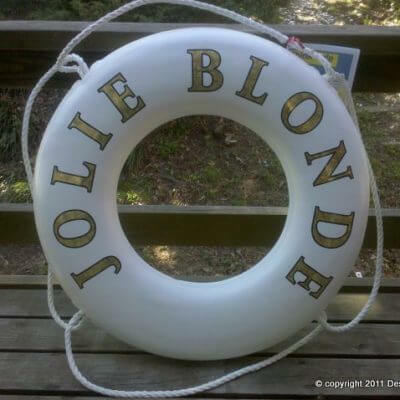 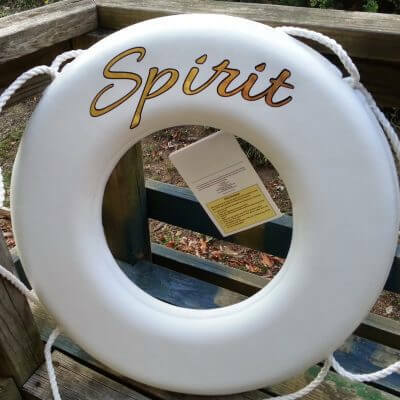 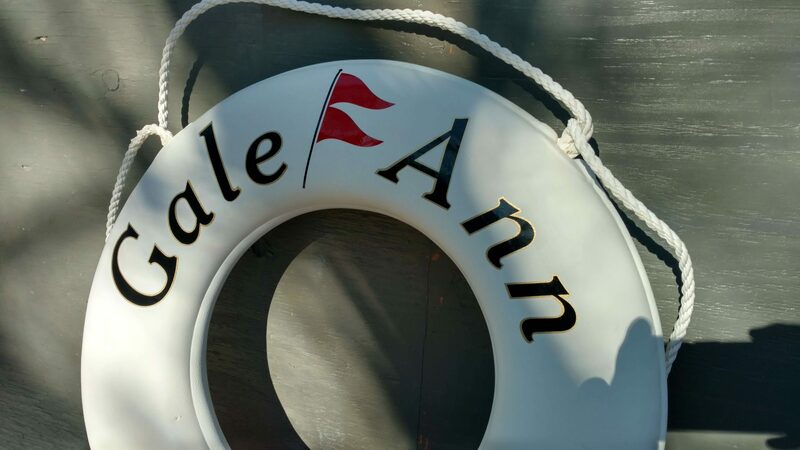 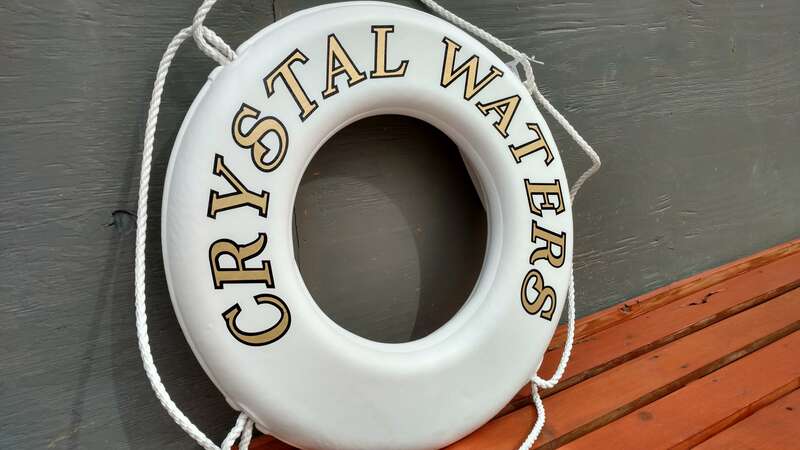 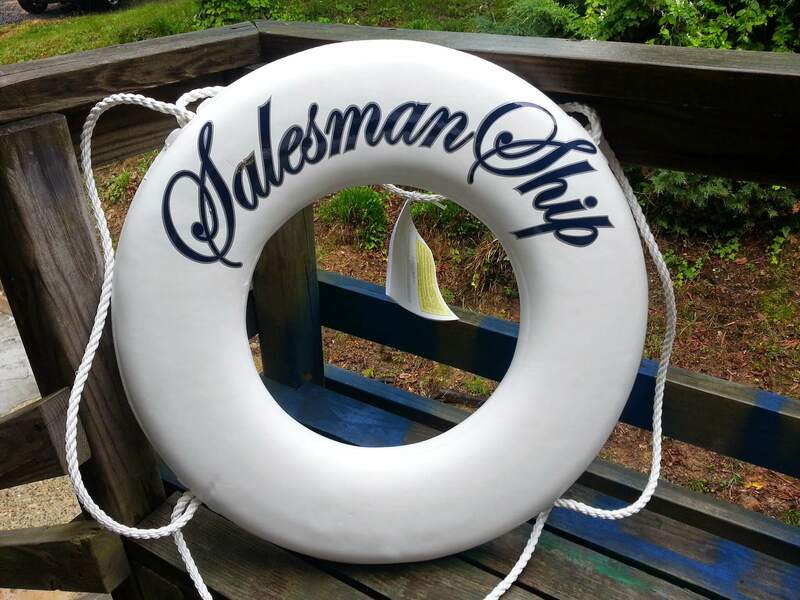 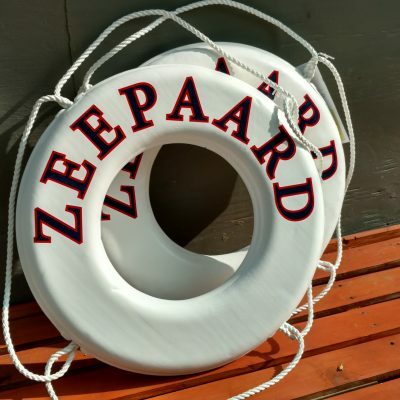 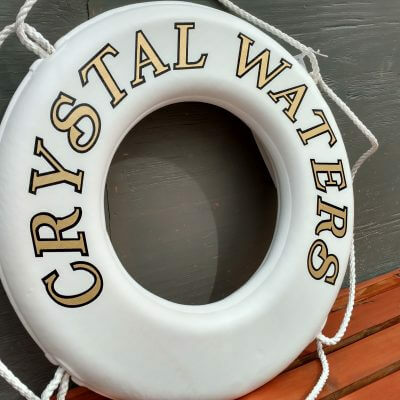 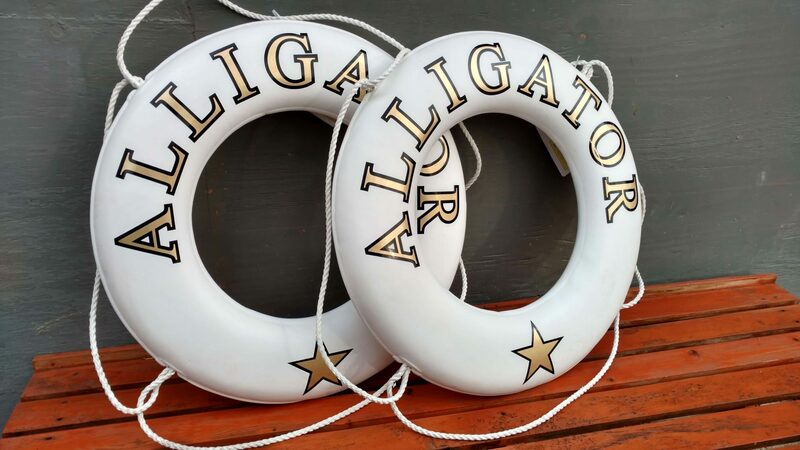 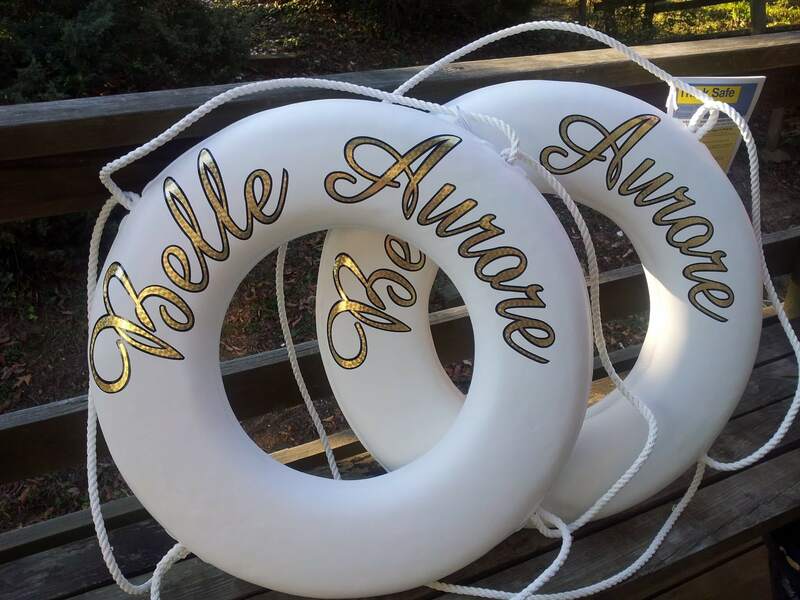 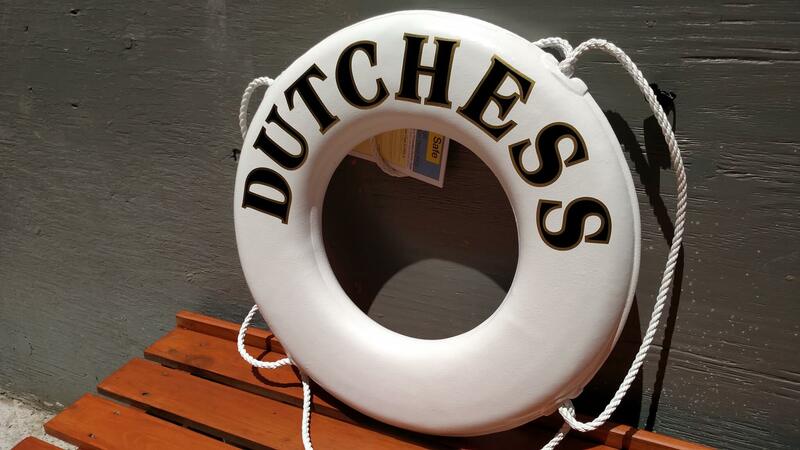 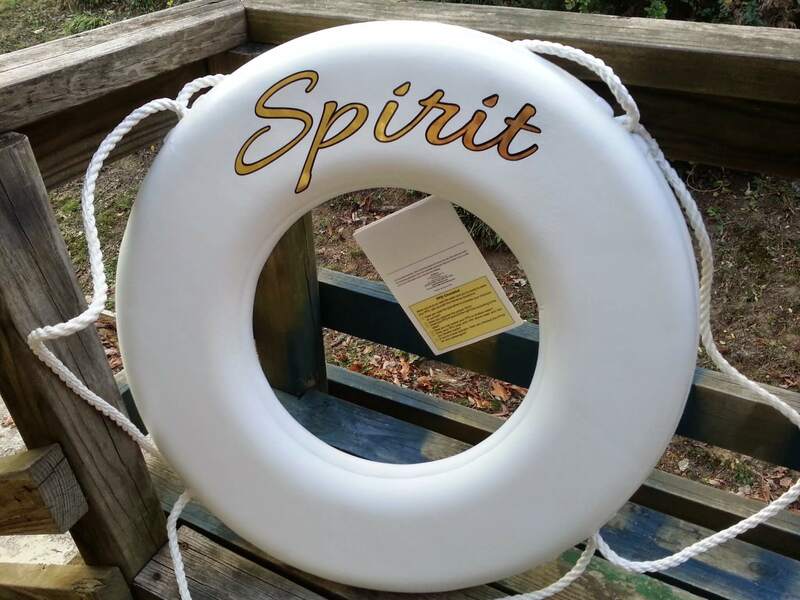 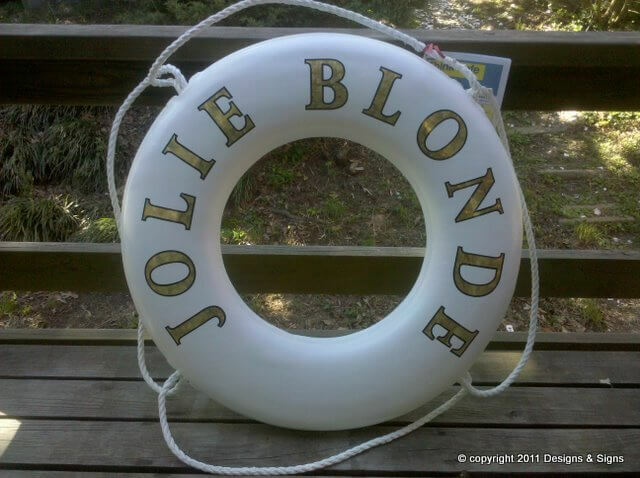 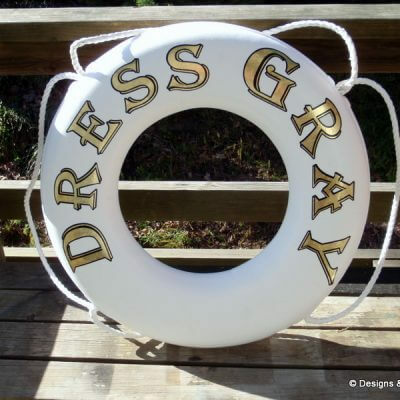 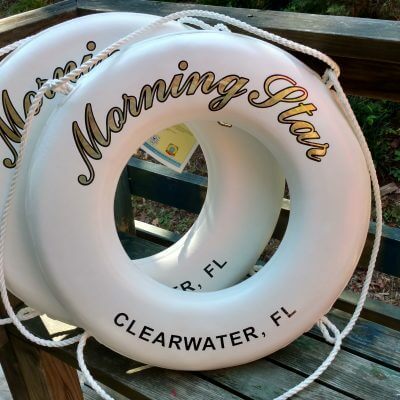 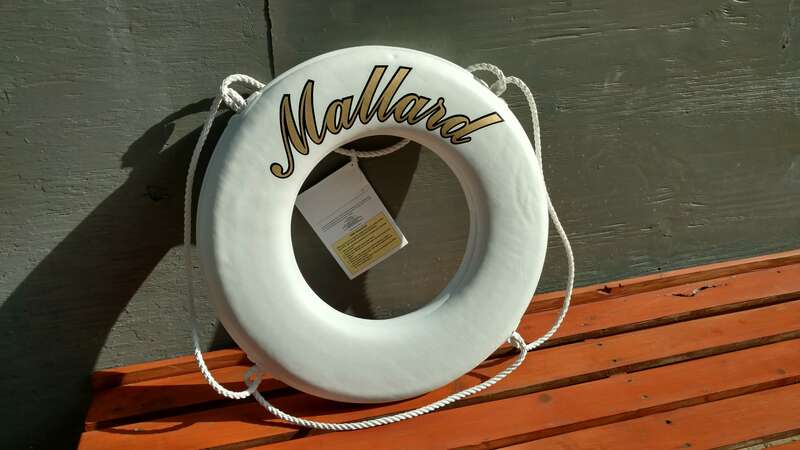 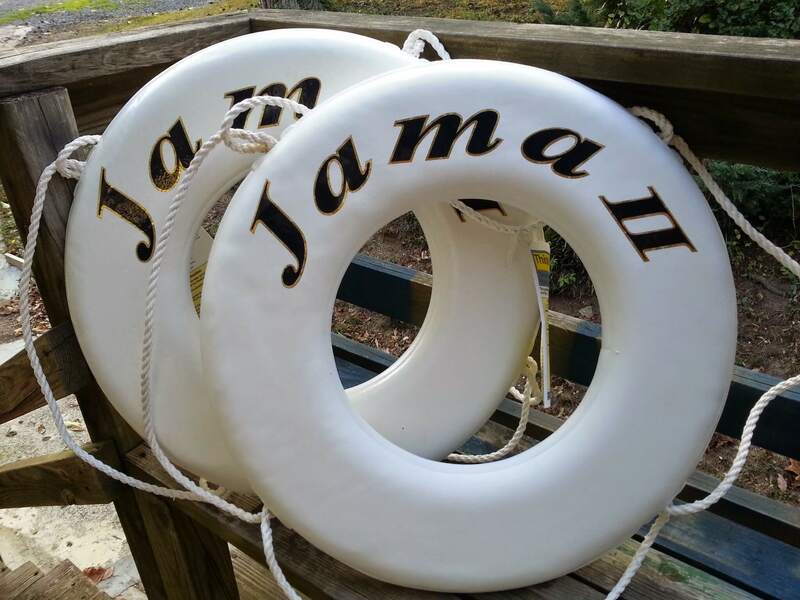 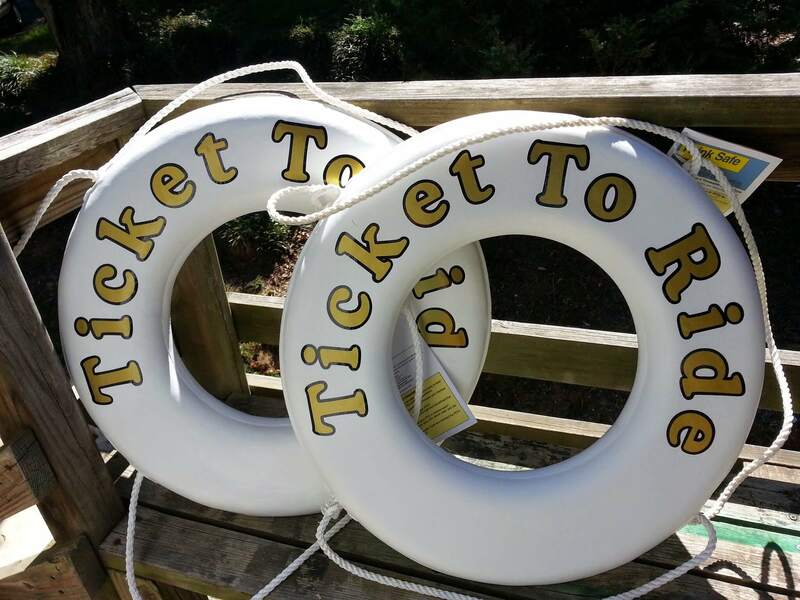 Personalized Life Rings / Quarterboards / Gold Leaf Boat Lettering. 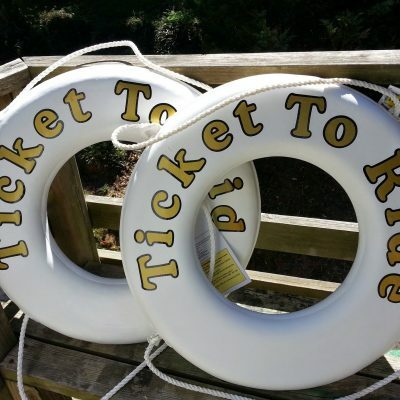 The “kisby ring”, or sometimes “Kisbie ring”, is thought to be named after Thomas Kisbee (1792–1877) who was a British naval officer.